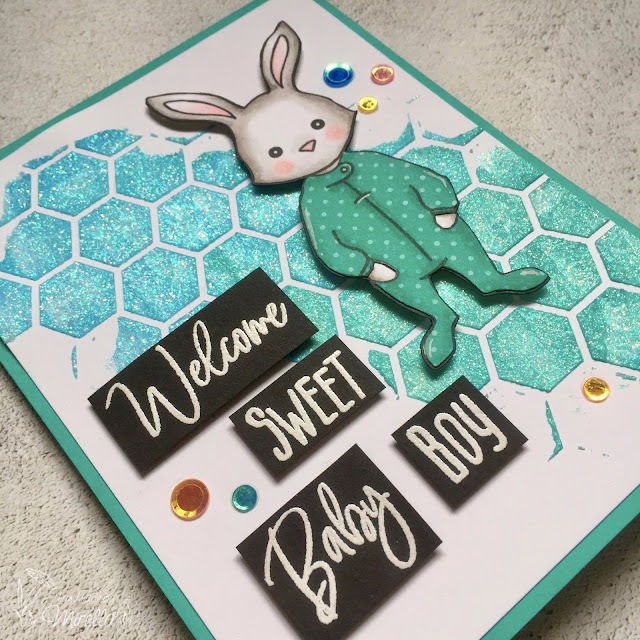 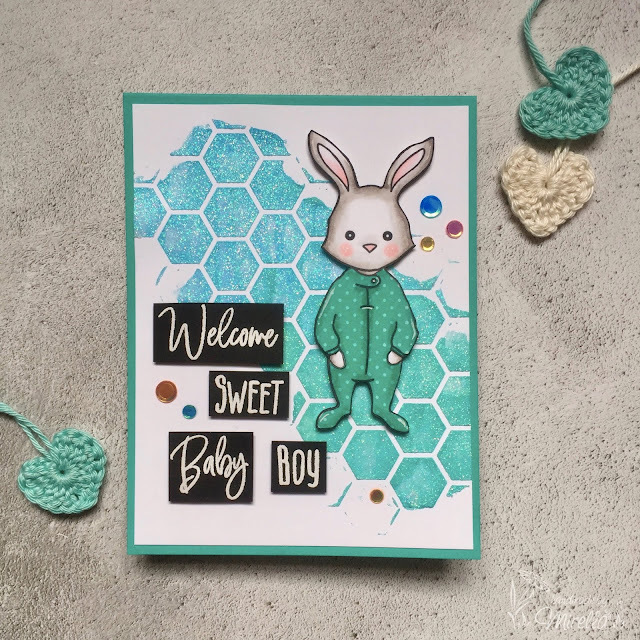 Today, I would like to share with you two baby cards (one for a boy, and one for a girl) that I made with the adorable "Heaven sent" stamp set by HoneyBee Stamps. I was lucky enough to win this stamp set, and I am truly delighted that I did - it's so cute! 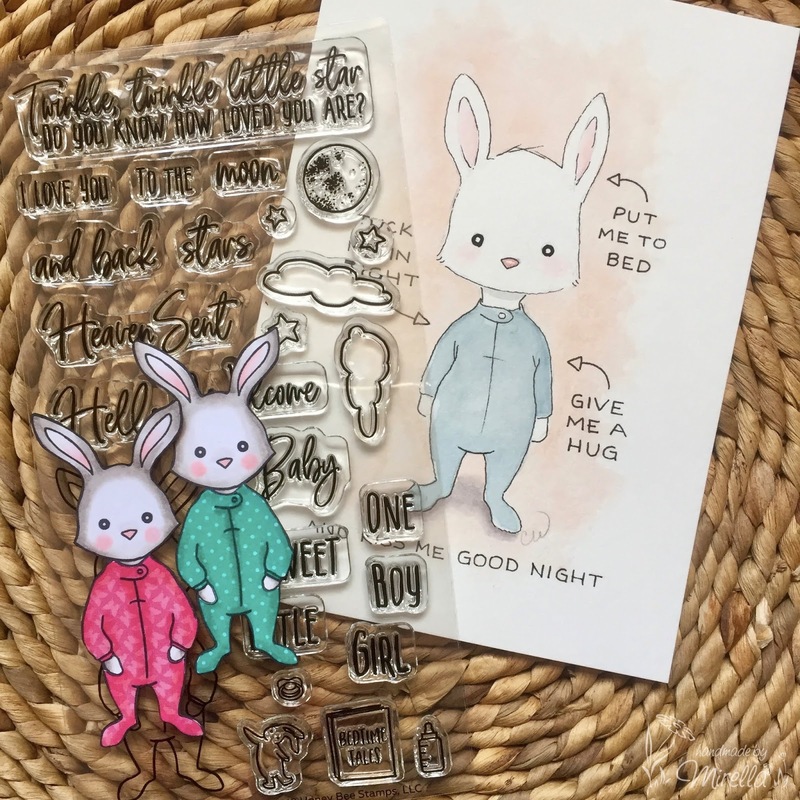 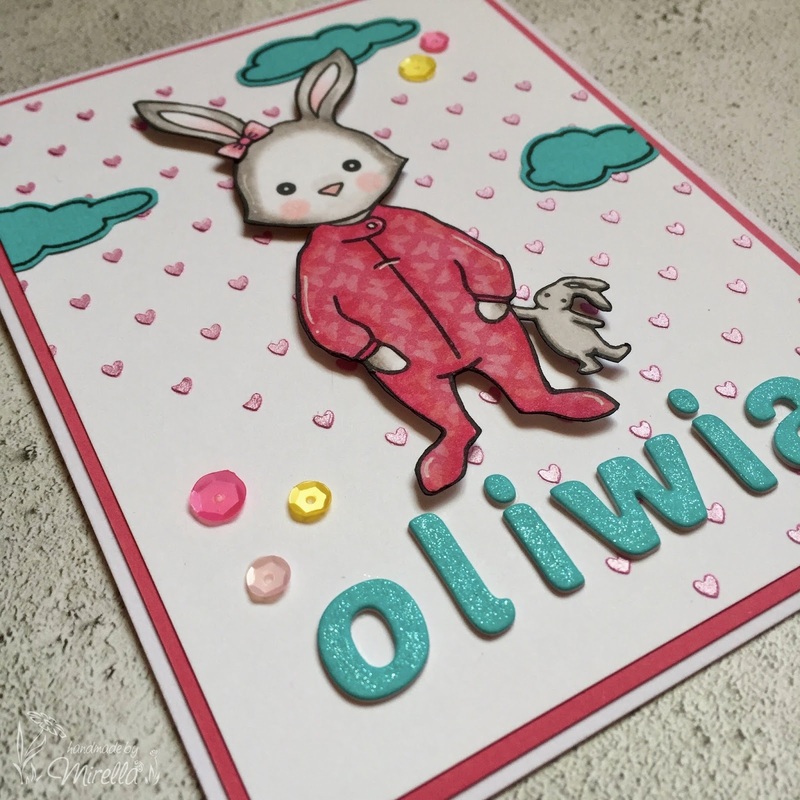 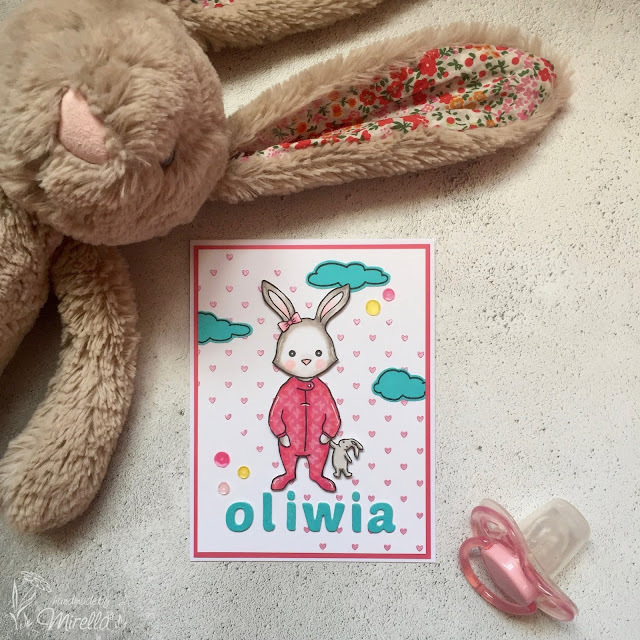 Having played with it a bit to make the cards I'm showing you today, I believe it might soon become my go to stamp set for any future baby cards I might need - these bunnies (both the "baby" bunny and the tiny plushie) are too sweet! 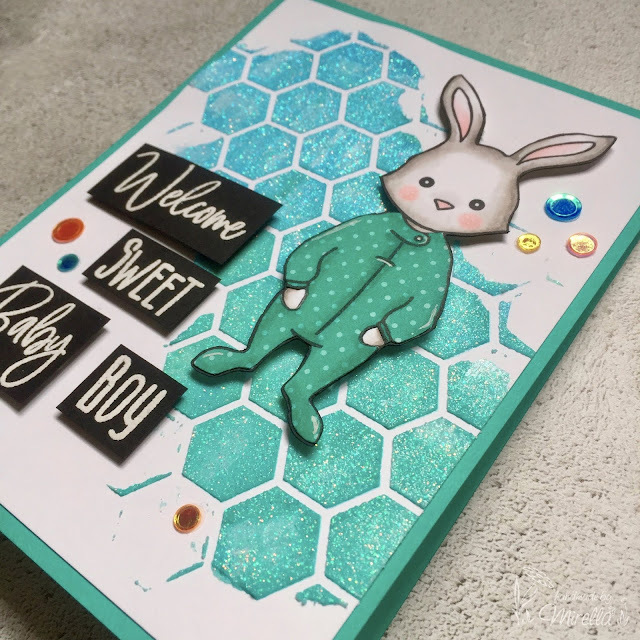 The card layouts were inspired by the current HoneyBee Stamps challenge over on their Facebook page. 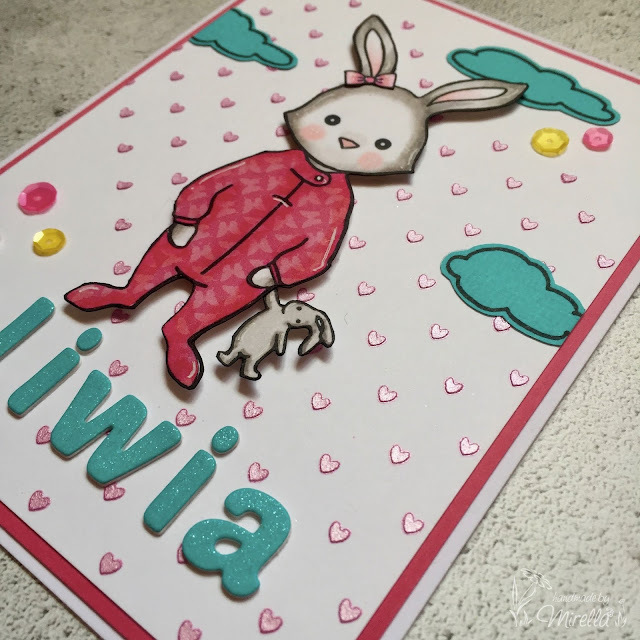 I didn't follow the sketch precisely, but it gave me a good basis for my design. The bunnies are coloured with Copic Markers and fussy cut. 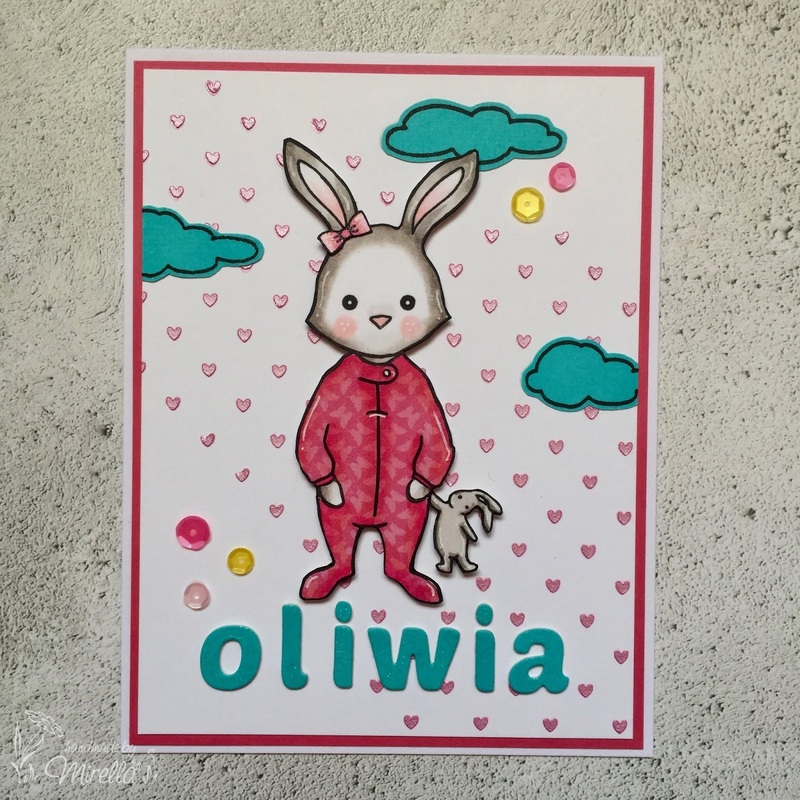 Their outfits are paper pieced, with some additional shading added with my markers.